Come shop at Lancaster County's largest supplier of sodium hypochlorite (liquid chlorine). Count on us to provide supplies and services for your residential or commercial pool. Whether you own a pool in the backyard or run a community pool, J L Honberger Co., Inc. is your go-to company to keep that pool clean and sparkling. 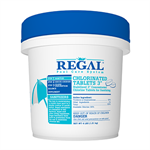 We carry an extensive selection of products for residential and commercial customers and offer a wide range of essential services in our pool supply store in Manheim, PA. In addition, we have spa supplies and services. Free Pool Water Testing: Our customers trust our ability to solve their water problems. 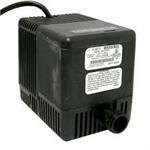 Parts Inventory: We maintain a solid inventory of the parts used by local pool installers. Pricing: Our goal is to provide you with quality products at competitive prices. Easy Access: Our store is located right off of Route 283 and centrally located between Lancaster, Harrisburg, Reading, York, and Lebanon. Convenience: We offer plenty of parking and offer areas where you can load up easily. Our Resources: Our multiple resources allow us to track down "nonstock" swimming pool supplies quickly. And, we have drop-ship capability for many products. Friendly Service: Simply put, our goal is to help you. It’s why we’re here and have been successful for so long. Patriotism on Display: Look for a special surprise! Visits to Yesteryear: Get a glimpse of history through our in-store displays. Weekly Prize Drawings: We have weekly prize drawings all summer long. Kids’ Coloring Contest: We teach children the basics of swimming pool safety with our coloring sheets and contests. Passion: We want you to enjoy your swimming pools as much as we do our own. Equipment Installation: We install all types of swimming pool equipment in Lancaster County and the surrounding counties. 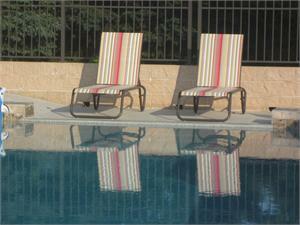 Opening & Closing: Let us get your pool ready for the swimming season or close it down before winter. For residential pools, we offer de-winterizing services. Sand Filter Change: Ask us for all sizes of residential and commercial filters. Pool Restoration: This includes tiling, as well as coping, plastering, sandblasting, and water blasting. Painting: Add to the appearance of your pool with a coat of fresh paint. Pool Management Options: We customize a program to meet your commercial swimming pool needs. Maintenance: We customize a program to meet your residential pool needs. Delivery/Shipping Service: Our company delivers and ships products to your door. This means you can access a local merchant for delivery or go online for swimming pool and spa parts and supplies. What Products Do You Deliver & Ship? Aqua Products, Inc. -- Order from this leading manufacturer in robotic cleaners. We ship nationally every day. Stenner Parts -- Purchase everything from chemical feed pumps to chemical treatment accessories at Stenner. Contact us today for the supplies and services that making swimming pools fun and safe. Based in Manheim, Pennsylvania, we proudly serve customers across the country. Lancaster, York, Dauphin, Berks, Lebanon, Chester, Schuylkill, Cumberland, Bucks, Delaware, Montgomery, and More.